It is now, in the modern day, one of the near essentials of life to carry around a mobile phone. The development of the technology progresses on a year by year basis, producing gadgets more revolutionary each time. But how has this concept come about? Mobile phones surely didn't just pop up out of nowhere? So to show you how they started and how they became what they are now; I will be taking you on a trip down memory lane, picking up on the phones that marked major turning points for the industry. I will start your journey with the first ever true mobile phone - the Motorola DynaTAC 8000X. Trialed as early as 1981 in the United States, the 8000X was an example of the 'First Generation' (or '1G') in mobile phone technology - running on a cellular network. It was a brick of a phone, asking a lot of its status as mobile. In the early 1990's, the second generation in mobile phones arrived. These presented digital connectivity, as opposed to the old analogue technology used in first generation models. This allowed for capabilities such as voice services and text messaging. But most importantly; this wave of phones were much more mobile, due to lower radio signals needing less power to make calls. 2G phones were the base for more modern handsets to be developed from. Released in 1999 and one of the most popular and successful phones in history, the 3210 sold 160 million units worldwide. It elaborated on 2G technology, featuring an internal antenna which left behind previous phone's unsightly aerials. Also including: a changeable cover, customisable ring tones and a slim-line design - its popularity was phenomenal. The 3210 was a real bench mark for the development of mobile phones and set standards which weren't met for at least a couple of years after its release. After the 3210, Nokia and other large manufacturers began to ship out more modern versions of their handsets. These new versions brought forward similar features, but with two big differences - one being colour screens and the other, a camera. Although this is true, these cameras were only a very basic VGA quality. Then, in 2003, along came NTT with the first ever mobile phone featuring a mega-pixel camera. 1.3 mega-pixels to be exact. Although this sounds basic in the modern world, this technology was sophisticated enough to rival some digital cameras of the time. NTT were soon never to be heard of again as bigger manufacturers quickly snapped up the mega-pixel madness. As expectations began to increase regarding mobile phones after the turn of the century, the internet also began to grow at an alarming rate. So, with that in mind, manufacturers began to produce the third generation in phones (3G). The term 3G has now come to denote the internet and with this new technology, people could now make video calls to their friends in other places and access the internet through their mobile phones. Imagine that? Sitting on the toilet while surfing the web. Amazing! Now that people had most of their best interests catered for in their phone, music was the next summit to mount for developers. Although music players had been tried and tested for a couple of years before 2006 on mobile phones, no handsets were specifically designed for musical capabilities. Then in that same year Sony Ericsson, who were probably the biggest manufacturer at the time, released their first Walkman phone - the W800i. As well as having all of the latest features, it included a music player chiselled from Sony's already successful and dedicated Walkman range. This spawned many more similar phones as Sony Ericsson attempted to fine tune their musical application. Apple's reign of technological achievement soon set its beady eyes on the mobile phone market. With the iphone, the developers were seeking to blow all other phone companies out of the water. And I think they might just have achieved it. With a huge build up and months of anticipation, the iphone was released in Summer 2007. It marked the birth of the smart phone and worked solely to provide for itself, springing up things such as the app store - made specifically for Apple. It also boasted a touch screen, one of the first phones to do so in the modern market. The years following its release gave birth to three new models: the iphone 3G, 3GS and 4. These models filled in the flaws of previous handsets, creating a more definitive experience for consumers. No manufacturers managed to successfully compete with the iphone following its release. Thankfully, its only drawback was its pricing, so some consumers turned to other alternatives. These included smart phones with the Symbian operating system, allowing for a more developed handset. 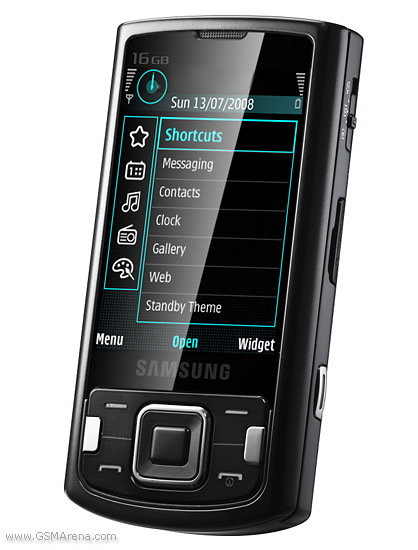 One of the front runners in the stint of Symbian technology was Samsung, who introduced their i8510 model at the end of 2008. This was the first phone to offer an 8 mega-pixel camera and featured a staggering 16GB of internal memory - pretty impressive in comparison to rivalling models. The i8510 was just one of many Symbian phones released by manufacturers, with some handsets still being produced with the operating system today. Now, Apple have to watch their backs because of the newly emerging Android operating system powered by Google. And who else but Google could mount an assault against the iphone? Many manufacturers have taken to the technology, including: Samsung, HTC, Sony Ericcson and Motorola. These devices now work alongside each other through the market in healthy competition, as the likes of the Samsung Galaxy S and HTC Desire challenge the iphone 4.